Parthiv Patel scored a half century in his first game for RCB in IPL 2018. 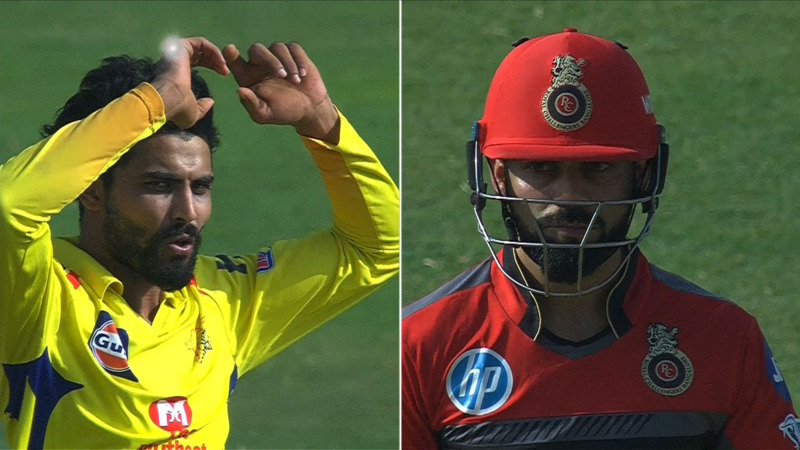 The 35th match of the IPL 2018 saw Chennai Super Kings host Royal Challengers Bangalore at the MCA Stadium in Pune. CSK are coming off a loss at the hands of KKR, while RCB beat MI in their last match to keep their hopes of final four qualifications alive. Chennai won the toss and chose to field first. CSK brought in Dhruv Shorey, David Willey and Harbhajan Singh in the team; while AB de Villiers returned for RCB, along with Parthiv Patel and M Ashwin. 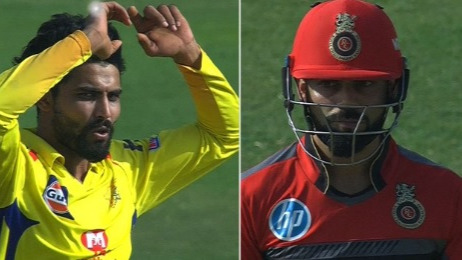 RCB’s start wasn’t very good when Ngidi had McCullum caught by Shardul for 5 and then Jadeja shocked Kohli by bowling him with a straight one for 8. Harbhajan had AB de Villiers stumped for 1 and Jadeja then removed Mandeep and Parthiv in quick succession. Parthiv Patel was the only exception in the woeful batting performance by RCB, as he scored 53 in 41 balls with 5 fours and 2 sixes. RCB was reduced for 90/8 in 16th over and it was game over for them. Jadeja redeemed himself after his woeful outing against KKR, by picking 3/18 and Harbhajan picked 2/22, showing that experience cannot be beaten. In the end, some smart hitting by Tim Southee (36* off 26 balls) took them past 100 and RCB finished with 127/9 in 20 overs. Twitter was amazed at the woeful performance by RCB in a situation when they had to give it their all to stay alive in the tournament. 8 overs, 5-40! Good old finger spin has its day in the sun! Whattey Combo! Sir and Bhajji. Super #Sirjji! #WhistlePodu #Yellove #CSKvRCB ??????? ?